One of the concerns that I have been raising within the Council Chambers (and numerous meetings and emails) has to do with stability of the dam reservoir walls. This has been a particularly pertinent issue for me since the Ratepayer has assumed the role of last-man-standing in relation to cost overruns. To clear up the current situation about overruns the situation is that the irrigator contribution to the dam as has been advertised for some time included a $15 million dollar cash input raised through water subscriptions and a loan from the Government agency CIIL to the tune of $25 million. This total of $40 million irrigator input has since been refined. That figure includes the total amount of irrigator contribution to dam construction including any cost overrun ($1.5 million share of the first $3million overruns), and other non-capital contributions (full details in the soon to be released in the consultation document). So if you are using the previously advertised figures, then the ratepayer will be responsible for ALL other overruns. Given that albatross around the neck of the ratepayer I have been trying to find out just what is included in our P95 (the 95% guarantee that we can build the dam on or under budget). Because I am no engineer, and I am assuming that the construction of the dam has been well reviewed, I have to accept that the figures given to construct the dam will be accurate. The greatest potential for cost overruns as I see them are contained in the reservoir (no pun intended). Why is the reservoir an issue? It may not be an issue, but I have been unable to get that reassurance from the information I have been presented with to date. What I have been presented with are geological maps that indicate this area is possibly the most unstable area in the Tasman region. What this map shows (and I apologise for the quality) with the various yellow and green shapes are the slips and slumps in the reservoir immediate boundaries. What it does not show are the slips and collapsing mountain (mount Rintoll) in the headwaters of the reservoir. My initial concern was around the amount of sedimentation infill we can expect in the dam. This is not to be confused with a water turbidity issue, but in terms of alluvial rock and gravel infill. When the head of Engineering came back with his findings of what engineering reports stated that the expected rate of sedimentation build up is 1000m3 (or 1000 Tons – I have had two versions) per annum and he added that that will not be an issue. In fact, he went on to add that it wouldn’t matter if their figure was out by a factor of ten times. On that point I agree, it wouldn’t matter if their figure was out by a factor of ten in terms of impact on water storage in the reservoir. However, the fact that they could be wrong about the volume of sedimentation build up does not then become a matter of throwing zero’s at the initial result. Why 10 why not 100 or 100,000 times an incorrect figure. If we are going to go down that road do we also say what if the price is out by ten times, instead of $82 million does it matter if it is $820 million? Or what if we say that the longevity of the dam is out by ten times, instead of a 100 year water supply solution we have a 10 year water supply solution for $82 million dollars? Or again, instead of water security for a 1 in 60 year drought it is a water security of supply for a 1 in 6 year drought event. Does a factor of ten times matter in the greater scheme of things? Does a factor of ten times matter in the greater scheme of things? I believe that if the engineer reports are not correct then we should be questioning more than just the sedimentation build up, we should be questioning their ability to ascertain the watertightness of the reservoir walls. If we start to fill the reservoir after building an $82 million dollar dam and find that the hills are leaking water so that the dam does not fill do we walk away? Or do we spend another $100 million to remediate the reservoir (ratepayer being the sole contributor)? I could be barking up the wrong tree – as council staff would assure me. However, upon reading the Tonkin and Taylor reports that I was directed to read, I came away without the assuredness that the staff have there is not an issue here. I have included some excerpts below (emphasis mine) of these reports for those hardy enough to want to read more, or for those entirely without a life who would like to read the reports in full follow this link. First a quick summary. Because the ratepayer is soley responsible ($1.5m excluded) of dam overrun costs this dam needs to come in on budget. Currently there is a 5% chance that this project could bankrupt the Tasman district. And by bankrupt I compare the Cromwell dam “In the end, the investigation and stabilisation work cost a staggering $936 million. Work on the Nine-Mile landslide alone, reportedly cost $60 million.” (source ). When things go wrong there is no limit to potential costs. In the same blog refernced above there is a discussion on the Roxburgh dam – now choked with sedimentation. The Tonkin and Taylor reports highlight the number and size of existing slips along the sides of the reservoir. The figure of 1000m3 of sedimentation per annum do not reflect the volumes of gravel anecdotally moving down the river now, without the added impact of a large body of water in the valley waterlogging the toe of these 80,000m3 slips, plus the added effect of wave action. Not to mention the effects of extreme weather events or earthquakes which may not affect the dam structure but could potentially cause Kaikora scale landslides. Wave action is one of the problems that was identified early on with the Kainui / Wai-iti Dam. As you can see this dam in entirely different country to the proposed Waimea Dam. Another point raised by the author of the Clutha blog was in relation to decommissioning costs of the Roxburgh dam. They said that if decommissioning costs were taken into account most large dams would not be constructed. I tried to have to the cost share ratified in the Waimea dam term sheet, but I was laughed out of the council chamber. Consequently, there is no mention of who will pay for the decommissioning of the Waimea dam in the event that it becomes necessary (a little present from our generation to those who will follow trying to sort that out in court). This information is presented purely to add to an informed debate as we enter the consultation phase for the Waimea Dam. c Local landslips into the storage in areas where the logs are stacked. Cawthron (2009) recommended that for water quality reasons the reservoir, dam site, borrow areas, spoil disposal areas and contractor site compound are clear felled of trees and vegetation and that debris is removed from the same areas. We endorse forest and debris removal as a priority, as there is otherwise the risk that the dam could be damaged by debris during construction and river diversion. No active large landslides have been identified in the potential reservoir footprint. 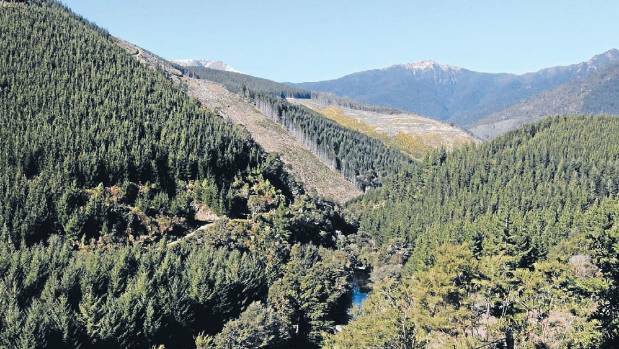 A number of large historical earthquakes would have been felt at the potential dam site. MMV, 0.15g-0.25g for MMVII and 0.25g-0.45g for MMVIII. site and the Waimea Fault located 8.5 km to the north-west of the dam site. vicinity of the fault. The associated earthquake is estimated to be an M7.6 event. there is a relatively high risk of such an event. dam, but are not considered to be active, (M Johnston pers comm). 200m wide. It is offset by other faults. a relatively minor one and there is no evidence that it is active. originated where serpentinitic rocks are sheared out along faults. of the potential dam site. North of the dam site the fault has not been identified. indicating that it is active. terrace in the main valley. lineament that is also evident crossing ridge lines to the south. more gently inclined (30-34°) and are characterised by few outcrops. inspected, but from aerial photographs examined, they appear to be stable. slopes by creep and/or seismic shaking has led to localised reshearing along bedding. quality and weathering over short distances. matrix. It is commonly characterised by widespread instability. on the valley sides at heights of up to 60 m above the river. They are described as follows. confluence of the Lee River and Waterfall Creek between Ch12,800 m and 13,350 m.
Low level terraces are preserved on the left bank between Ch12,100 m and 12,300 m.
The deposits consist of sandy GRAVEL, with less than 20% finer than coarse silt size. the level of the mid level terraces (i.e. in the lowest 10-20° of slope). dominatedby gravelly SAND and sandy (fine) GRAVEL with some silt and traces of clay. Fines, when present, classify as low plasticity silt (ML). These soils are very stiff to dense. They are yellow brown in colour and the coarse fraction clasts are moderately weathered. graded gravel layers are loose. interface with the underlying bedrock. to 50°). They are of limited lateral extent. slightly weathered and include angular bedrock (scree) clasts and rounded alluvial clasts. within the broader Lee River catchment. oriented, and where the toe of the slope is actively eroded by a river meander. 13,800 m on the right bank. site has identified no active large landslides that would extend into the reservoir area. blanketed by younger slope deposits. slope) and where river erosion has formed a high (150 m) slope that is inclined at 45°-50°. underlain by Rai Formation greywacke lie at between 35 and 42°. fluctuate by up to 25 m over several weeks. unlikely that landslips will extend significantly above top water level. The Lugeon permeability testing results indicate that permeability in Class 1 and Class 2 rock is generally within the range of 1-5 Lu. However, defects will provide higher permeable pathways through the near surface rock that will require grouting or near surface foundation treatment. Class 3 rock downstream of the left abutment has high permeability above SZ3 (Lu 1-40), and there is a potential for significant leakage where Class 3 rock underlies the upper left abutment. Bedding parallel sheared zones may have moderate permeability parallel to the shears (Lu 5-10) but rock mass permeability through the rock between sheared zones is very low (<1Lu). SZ 8 will be intersected by the plinth low on both abutments and the surface trace will extend below the upstream shoulder. Other bedding parallel defects will also be intersected by the plinth at higher levels. Bedding is inclined downstream at 35° to 70° and is not likely to be a potential source of leakage around the abutment. Joint Sets A and B will provide preferential leakage paths both under the dam and around the abutments as they strike parallel to the valley sides. There is a possibility that there has been some stress relief in the right abutment leading to the opening of joints producing locally moderate permeability (Lu 5-12) and there is a risk of individual seepage paths through the foundations and abutments associated with these joints. If water losses can be tolerated then the need for a grout curtain is reduced. However consequences of leakage may include piping and erosion of fines in sheared zones, and elevated pore water pressures in the slope downstream of the abutment. · No active large landslides have been identified in the reservoir. · Groundwater levels will be raised by inundation and local instability associated with solifluction slopes can be expected. Firstly, I apologise for being a little slow on the uptake to understand and convey this, but I had to wade through talk about Hectare equivalents, 100-year security of supply, environmental flows etc. However, I now believe that I understand how the dam allocations work (or don’t work). Who Owns The Water Behind The Waimea Dam? From all the pretty graphics and charts, you may be under the impression, as I was, that the dam reservoir holds water capacity in three allocations; as apportioned to irrigators, environmental flow, and urban supply. And you might assume that each party owns its share of the water occupying the allocated storage capacity. You might have been right with that assumption had there been three pipes exiting the dam. If the irrigators had a pipe that we could meter then we could shut them off when they consumed their allocation, and when the fish drank their water from the environmental flow pipe we could shut them off, and council could manage the share allocated to urban water supply via another pipe. In this scenario, the allocation percentage might make sense. But. . . that is not the scenario that we have on the table. In the current scenario, all of the water stored behind the dam belongs to one party. Believe it or not, the fish own all the water. Because we only have one tap on the dam, and it feeds directly into the river, the only measure of control that we have is the river flow level. When the river level drops to a point that the fish dictate is unhealthy (or slightly before) we start to release water in the dam. We continue to release water from the dam in quantities that maintain happy fish until such point as there is no water left in the dam (other than a minimum level that we are required to retain), or until such time as the natural flows increase to a point where we can stop releasing from the dam. At the point where the dam runs dry, if the drought has not broken, the fish will be unhappily flapping their fins on a hot dry river bed, the irrigators will have prunes not apples (I know apples don’t turn to prunes but you get the equivalent idea) and desperate urban supply water users will be standing on street corners in the dark of night buying bootleg water from smugglers bringing water across electorate lines. Armageddon reigns as described in the no dam scenario headlines. Fortunately, these events only occur in a greater than 1 in 60 year drought event. Although global warming proponents may find this a slightly more alarming statistic. What all that means is that in this broken model for a dam, it doesn’t matter how many hectare equivalents council urban water club signs up for (whether one or one hundred thousand) the result is the same. Just as it doesn’t matter how many hectares the irrigators sign up for, which is probably why they over sold the need initially and then drastically reduced their intended subscription when it came to apportioning costs. In other words, the more dam debt council assumes does not translate to greater security of supply to urban water users. Remember the fish own the water and dictate when supply is turned on, how much flow is required, and for how long the flow runs until the dam is drained (if required). The irrigators who are next in line, because their pumps are positioned above the urban water take at the mouth of the river, will use their over-allocated consents to legally pump until their hearts are content (or their permit allows). They will continue to pump while water flows down the river from the dam at a level that keeps the fish happy further exacerbating the need to release more water to keep the fish happy, until the dam runs dry. There is no mechanism to stop them pumping once their “share” of the dam reservoir is empty – and why should they, because they have a dam to pay for, and the fish will drink all the water anyway if they don’t use their share. To top it all off, while the fish are happy drinking and the irrigators are happy pumping, the urban water users will also continue washing their cars and watering their lawns until the day that the dam runs dry. There is no incentive for urban users to cut back on water use because the dam they paid for will be releasing water to feed the irrigators (who won’t cut back) and the thirsty fish who likewise need to maintain their share flowing into the sea (we don’t want the rising sea levels to run dry after all). So you see, it doesn’t matter who pays for what share of the dam, the fish own the water and while they are happy everyone else can use as much as they please (or are daily consented to take). That is why this model is broken. There is no incentive for anyone to conserve water at any point before the dam runs dry. If, on the other hand, we were to look at a “plan B” option, such as the water reservoirs built on the side of the river for urban supply, then we have a different model. Water use would continue as normal until the fish said cut back. At that point, the irrigators would have to start cutting back to maintain river flows and happy fish, and urban water users would have to either start cutting back and/or start supplementing their supply from the reservoir. In this scenario, there would be an incentive for urban supply users to start reducing their demand because they only have a finite supply in store once the river drops to minimum flow. The bonus with this model is that there is a finite supply available for urban water users that the fish cannot drink and the irrigators cannot get their pumps into. What urban suppliers pay for urban suppliers get exclusive use of. This is a security of supply model as the reservoirs can be as big as money will allow and need drives. I am not advocating the “Plan B” as a more cost-effective model, or to have the same benefit to the fish (as clearly there is none), but it does have some merit when it comes to ensuring a security of supply. It also has the advantage of being more likely to be constructed to the P95 (95% certain it can be built on budget) than the dam scenario – but that is fodder for another post. This post is just to help you understand what your money spent on a dam will get you, and how happy you will make the fish. Following the distribution of the Newsline – the dam special edition, I have fielded a number of communications questioning the level of “propaganda” that council has stooped to. Initially, I was somewhat surprised of the response as my copy had not been delivered. Interestingly, councillors had been receiving a pre release copy of Newsline for proof reading. This copy was not circulated prior to publication, so I did not have an opportunity to address the errors before it went public. Given that my opportunity to address issues privately was not given I will address my issues in the open forum. Without getting bogged down in the fine print, I will just address the glaringly obvious propaganda as presented pictorially. The first obvious use of “Lies, Damned Lies and Statistics” (as penned by an author of disputed origin) is found in the picture on the front page. One wonders why a discussion about the Waimea Plains, as affected by the Waimea Community Dam, shows a picture of the Wai-iti Plains – not affected by the Waimea Community Dam? Yes, it is possible to see the Waimea plains in the distance, but a good half of the land pictured shows land that comes under the 88 Valley (or commonly referred to as the Kainui) water scheme and is not affected by the Waimea Community Dam discussion. The use of the picture really just highlights how little land mass we are really talking about when we hear the stories of great woe that befall the world food supply (as present to council by John Palmer) or the national food supply (as reported in Newsline). Yes, there may be some impact locally to vegetable prices until another source is found in a no dam scenario, but a dire impact globally? Interestingly, the boutique crop of hops as mention in Newsline are mostly grown outside the Waimea Community Dam catchment – which makes one wonder if John Palmer is writing Newsline now. Moving on we come to the pictures following the Mayor’s soliloquy. Sorry, these are not the dam pictures they are pictures of Bailey – winner of the 90 day weight-loss challenge at lifetime-weightloss.com. And while I congratulate Bailey on her efforts, I find the photos used here typical of photos used in this genre of advertising. And I am sure that many of you will have noticed that in advertising the benefits of the Waimea Community Dam that we have used the same template as the traditional weight loss miracle cure before and after photos. With a dam we use the flash on, bright colours, full make-up, hair fresh from the salon, and big smile template. It is a sunny day, we have chosen a cross-section of the river where there is lots of green grass in the picture, and the fish are playing happily (we can assume). Without a dam the story is much different. There is no smile, no make-up, no flash photography, and the hair is messy. Or at least the picture has been photo-shopped to appear devoid of 90% of the colour. Ironic really given that the water crisis generally occurs mid summer. We have also chosen a different cross-section of the river that contains no greenery, only grey lifeless gravel, and one can only imagine in this Armageddon-like scene that the fish are not smiling at all. The reality is that had both pictures been taken from the same perspective on equally sunny days you would barely see a difference between an 1100 litre per second flow an 800 litre per second flow. Of course that is not the only occurrence of where we have refused to let the facts get in the way of a good story. “Average” in a mathematical sense usually refers to a mean average or a median average figure. Median being a mid point figure, and mean referring to number generated when the sum of figures is divided by the number of figures used. In this list of common water usage activities the term Average would appear to mean something entirely different – I am not sure what. Take for instance the average figure given for flushing the toilet, here it is given as 11 litres. While old single flush toilets may have used 11 litres per flush or more, the Caroma national survey reveals 60% of households use a split flush system, most of which operate on a 6/3 litre flush and newer design toilets are even more economical again with their water use. So, for the “average” flush to be 11 litres some people must be using their bath as a header tank to flush the toilet. The same can also be applied to the 5 litre figure given for hand washing. That is two and a half ice-cream containers of water used for every hand wash. Some people must have a lot higher water pressure than me, or they take an extra ordinarily long time to wash their hands, or again, they are filling the bath to wash their hands if the “average” figure is 5 litres per hand wash. The next chart that I would highlight is exactly the kind of use of statistics that the author of the “lies, damned lies, and statistics” quote would have been referring to, I am sure. Council staff will apparently tell you that this accurately represents the associated costs of the dam to urban water users. The first fallacy is that it assumes that urban supply users are not general ratepayers as well because there is no ongoing costs for “environmental flow” included in the graphic – which is odd because they include the environmental flow component of construction costs. Even in this model urban supply users will be paying general rate subsidies of the actual cost of water supply from the Waimea Community Dam. I repeat, these figures are not shown on the table. The other issue with this model is that “environmental flow” costs have been segregated out in the first place. When this model was first presented to council environmental flow was described a separate entity from water extraction. What has since come to light is that environmental flow is a direct cost of using the river as a conduit to run water from the augmentation source (the community dam) to the end user. The reason that all the other options looked at are outrageously expensive by comparison to the Waimea Dam is because all the other options have to include piping from augmentation source to end user. We cannot use the river as a conduit to channel the water if we are putting in X litres of water at the top and taking the same X litres of water out at the bottom of the river (or where ever extraction occurs). To use the river in this manner would necessitate supplying a certain level of environmental flow above the water extraction levels which none of the other options have capacity for. Not only is there a saving in piping by using the river as a conduit, there is also a large saving from treatment because the river is doing the bulk of the “treating” of the water for us when it is used as a conduit. Therefore, the cost of using the river as a conduit (rather than piping and potentially treating) is that environmental flow has to be accommodated for. This is not a “public benefit” cost that should be attributed to the general rate payer, this is a water extractor cost that is currently being directly subsidised by the general rate payer. Another means by which the general rate payer is being expected to prop up the billion dollar industry generated from irrigation on the Waimea Plains. Finally, I would question the doughnut chart that depicts financial contributors to the dam. Little details like the “SPENT” portion is added on the opposite side to the council contribution could raise eyebrows. I am wondering what genie contributed these spent funds. At this rate the dam will be built using “spent funds” and council will announce that we have saved the rate payer $25 million by not using the allocated budget from the Long Term Plan, even if it costs council $50 million in spent funds. But, I guess that is how we can keep council contribution to the quoted 33% if we don’t include spent funds, which looks like a really good bargain. There is also the small matter of CIL contributions included as the same colour as Waimea Irrigators $15 million contribution. In my business education I understood that the person who underwrites a loan is the person responsible for the loan (many a parent, and best friend, has come unstuck by not fully appreciating this fact). Given that council is being asked to underwrite the CIL loan it could be considered misleading at best, and down right deceptive at worst, to attribute that loan directly as WIL contributions. as the proponents of the dam would have us believe, then why is it consistently being over-sold? The most damage to the dam progress has not been fliers delivered by Murray Dawson or other anonymous detractors. The most damage to dam goodwill among the general rate payers is the constant and consistent propaganda put out by the Council and Waimea Irrigators. Why are we using suspect at best statistics, and outright lies to sell what is reputedly a no-brainer for the Tasman District? Yes, I said outright lies. If you consider that none of the above are lies, then panic not. I have other examples where I have been directly lied to in relation to questions I have raised, and information that has been presented to me as a councillor with regard to the Waimea Community Dam. Examples that will have to wait for another post as this post is supposed to be a quick analysis of some of the obvious propaganda presented in the Newsline special edition. We could have looked at some of the anomalies in the small print but given that the recipients of Newsline are obviously deemed to be imbeciles by the authors of Newsline one would assume that the recipients don’t read the articles. Perhaps the Waimea Community Dam is actually a lemon painted up to look like a Ferrari? Perhaps we should accept the offer ( or threat, depending on how you read the articles) of the Waimea Irrigators who have publicly stated they will pack up and move on if the dam is not built? That would solve the over allocation of water situation amongst the irrigators and those that remain will then have a greater security of supply. It is hard to see the best solution amidst all the smoke and mirrors and statistics spewing forth from the irrigator/council marketing department. The mistake I made when I was sworn in as Tasman District Councillor is that I took my position too seriously. It turns out that I am paid peanuts because I am expected to be a rubber-stamping monkey with the memory of a goldfish. I came to this conclusion after numerous discussions around the council table and in private with people whose pay grade far out-ranks my own. I have been told that I am just uninformed as a new councillor, and that is why I should vote the way of the good-old-boys. I am told I am acting irresponsibly for not rubber-stamping the proposals put before me. So, you see, I am now at the point where I can see the error of my ways. I was thinking my role as an elected member of council was somehow important. Inflated impression of self-worth aside, I just over estimated the role of a councillor. Had I read the job description instead of just the lunch menu I am sure I would have read applicant must be a rubber-stamping monkey who cannot remember what was said in the last paper stamped because it will probably contradict what is in the paper you are currently being asked to stamp your approval on. Now that both my pay grade, and my level of responsibility, have been established I am sure that I am going to be a far more effective in my newly informed role. I certainly won’t be taking myself, or my votes, too seriously moving forward. Wait what did I sign? There is a lot of talk about the dam in the media and even within council reports such as the Chairman of Engineering chairs report in the Engineering Committee minutes dated 30th of June 2017. A lot of these reports contain allegations that some councillors are voting against the dam. These reports are factually incorrect. In a recent full council meeting dated 14th June 2017 half of the council voted not to accept a motion to contribute $3 million more (that the $25 million in the long term plan), underwrite the CIL loan to the irrigators of $25 million, and pick up the lion share of the running costs going forward. The motion was passed by use of the Mayoral casting vote. The vote against the proposed increases in council funding was not an anti-dam vote as has been often misrepresented. It was more a concern that ratepayers will be locked into a minimum of 3% per annum rate increases for the foreseeable future. It may also require some scheduled capital projects to be pushed back to try and hold council under its 3% rate increase cap. We don’t know which projects yet because we have not discussed the schedule for the Long Term Plan 2018-2028. This brings me to my question for the Mayor given that it was his casting vote that carried the motion. How can the ratepayers of the Tasman district afford to pay 3% rate increases for the foreseeable future? I ask this question because only a few weeks ago we (the councillors) were asked to set the rates for the 2017-2018 year. We were told that we could get away with a 0.5% increase this round. There were a number of us that wanted to set a 1.5% increase (still well under the forecast 2.5% increase). The logic behind our thinking was that the extra 1% increase could go toward paying down debt, building on the debt reduction already achieved by the last term council, and compound the benefits we are seeing from paying less interest than forecast. It would also protect us moving ahead from rate increases due to rising interest rates that we would have no control over. We feel that a little bit of pain now is preferable to potential catastrophic pain down the road. The Mayor was leading the charge for those proposing the 0.5% rate increase. He told us that our council was in the top quartile amongst our peers for rate unaffordability. He also indicated that there are a lot of people struggling to pay their rates currently and that they simply couldn’t afford the 1.5% increase. While I agree with him that there are a lot of people struggling to pay their rates, I struggled to see how they would be better off in the long term with the 0.5% increase. That said, a 0.6% increase was eventually settled on. Back to my question. What happened to those people? How can the people who could not afford a 1.5% increase this year afford to be paying 15% higher rates in five years time (actually with compounding increase: 3% per year every year for the next 5 years, it is more like 16% in five years)? I have asked this question of the Mayor but did not receive a response. The only conclusion that one can draw without further enlightenment is that issue was never one of rate affordability. Instead, it had more to do with a dam consultation proposed for later in the year and wanting to throw the public a bone prior to said consultation to help get it over the line. Of course, this is only my “naive” and “uninformed” opinion as a new councillor, as the chair of Engineering would assert. However, with no other explanation offered by the Mayor I have to draw my conclusions with the facts as they sit on the table. The facts are that the Mayor has no problem contributing millions more to the dam causing rates to rise to at least 3% so he obviously does not think a 1.5% rate increase is too high as previously asserted. I campaigned on a platform of more accountability from within the council. I will keep asking questions where I see inconsistencies in the information presented to me, and to you the ratepayer until I get answers. This may affect my longevity in this role as one long term councillor indicated today, but if I am only showing up to rubberstamp whatever is passed before me I might as well get a better paying job where I can contribute something useful to society.